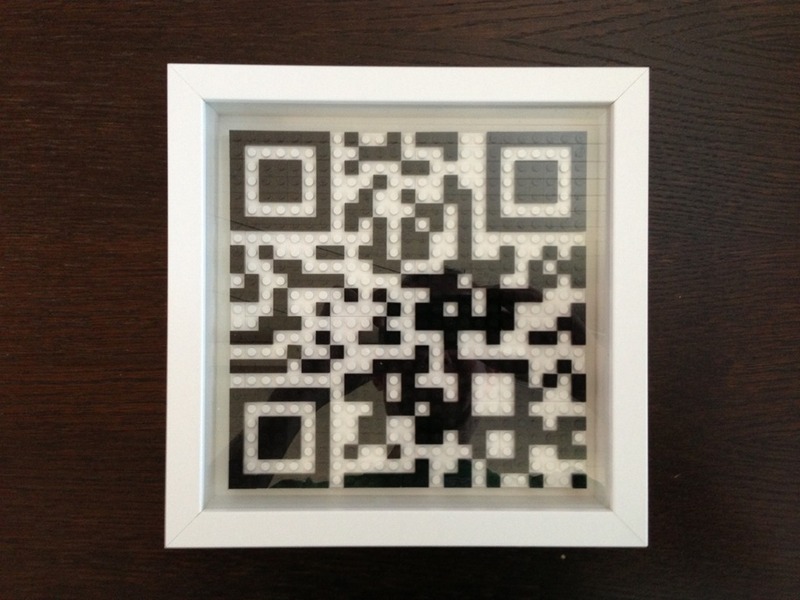 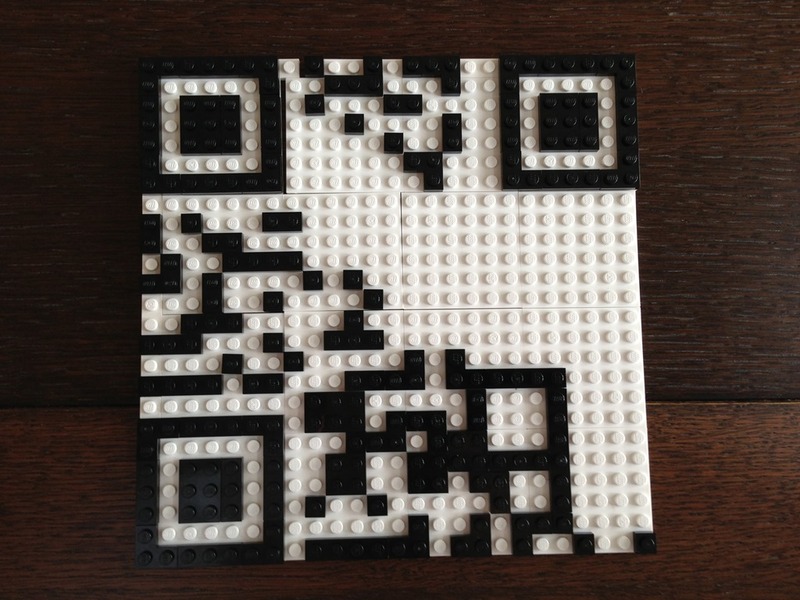 Building a working QR Code from Lego Bricks. 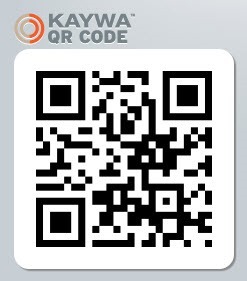 First, I created a URL QR code for my domain, http://corti.com on http://qrcode.kaywa.com/. 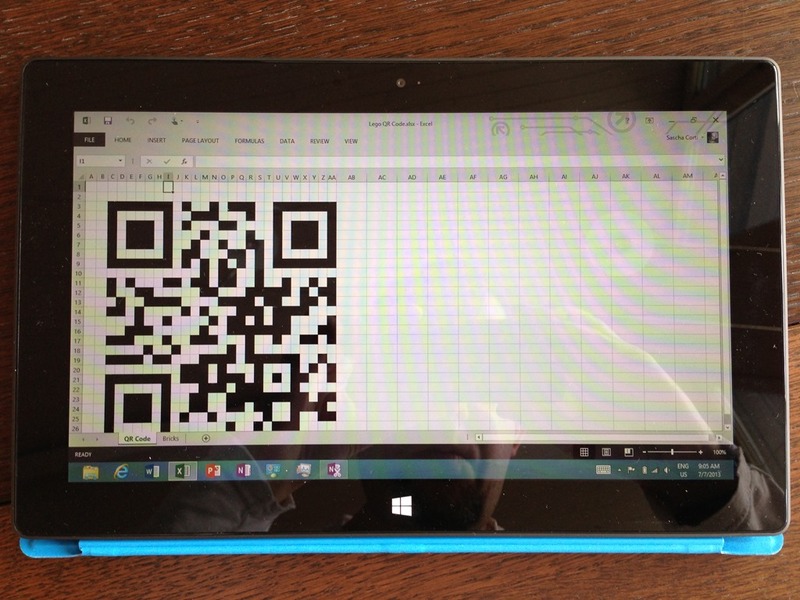 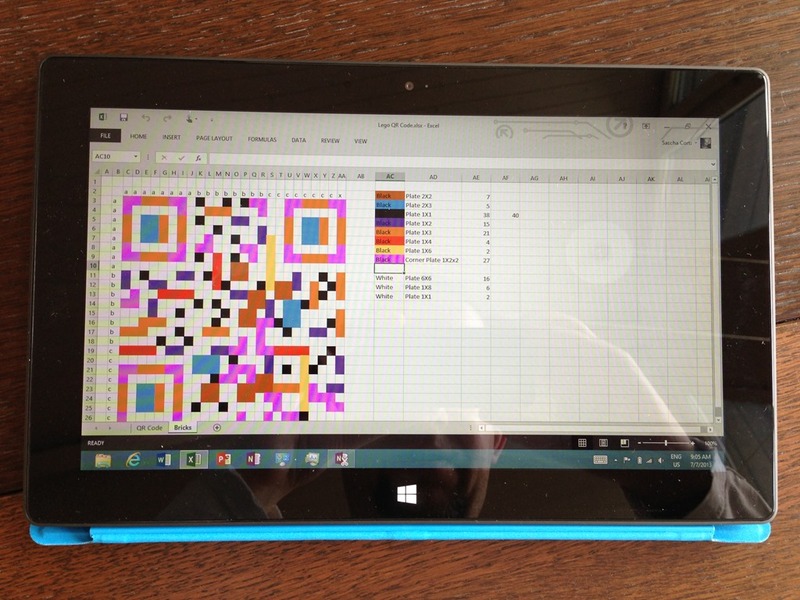 The next step was to port the black blocks to a grid – I used Excel for the task. 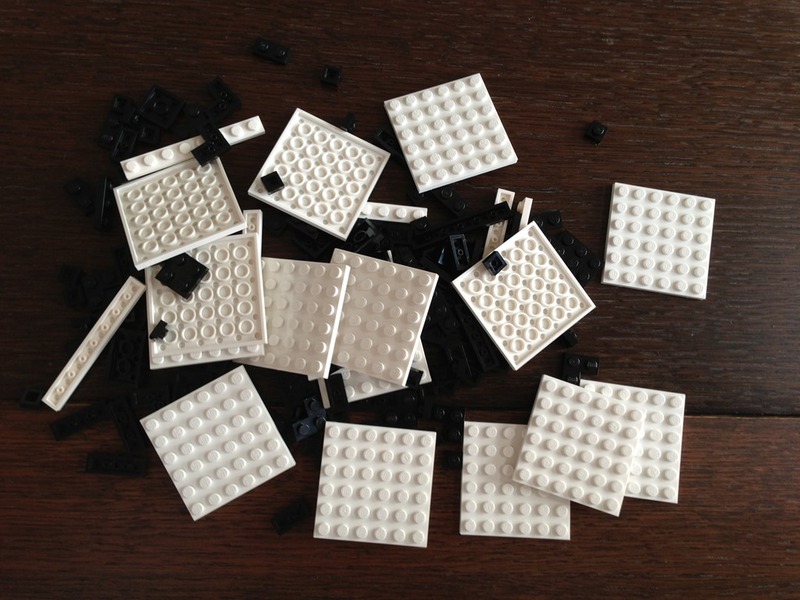 Next, I split the black areas into the largest possible Lego bricks available. 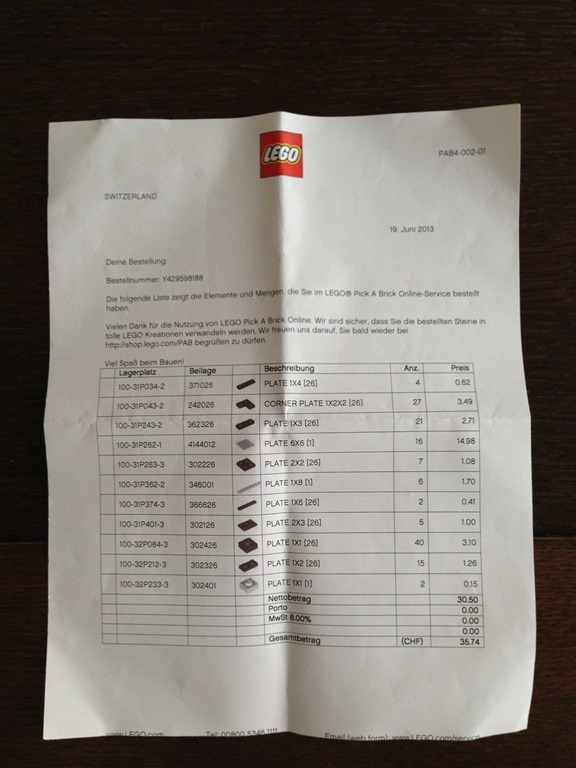 The result looks as follows with the various colors representing different kinds of Lego bricks. 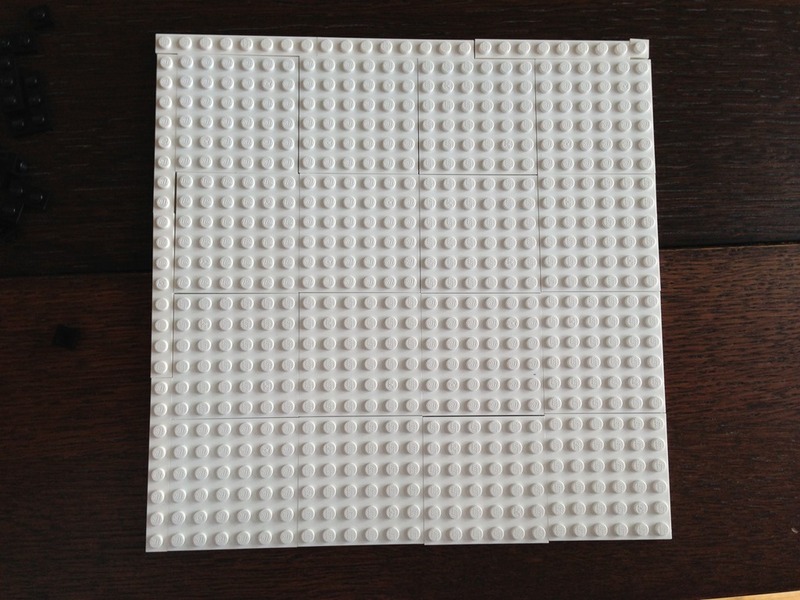 With the resulting number of required bricks, I headed over to Lego’s Pick a Brick and ordered the required amount of the flattest possible bricks called “plates”. 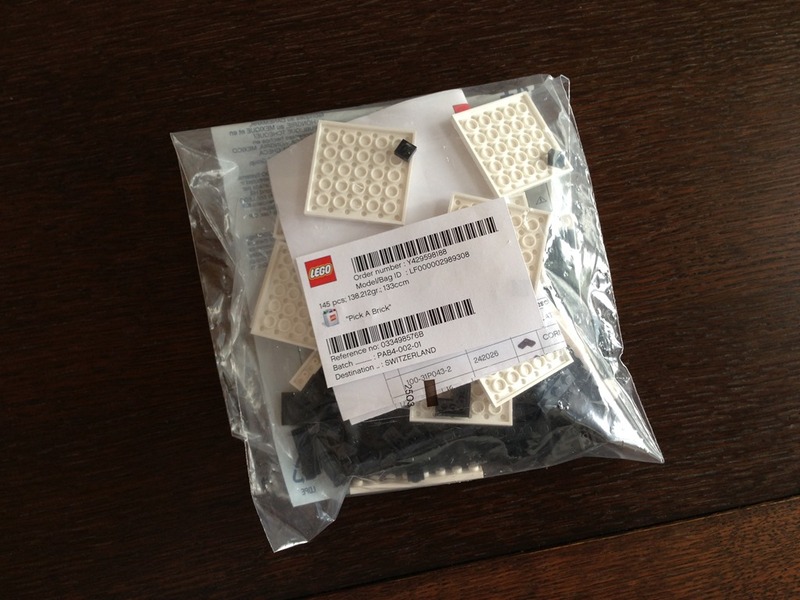 After a week I had all the parts I needed. 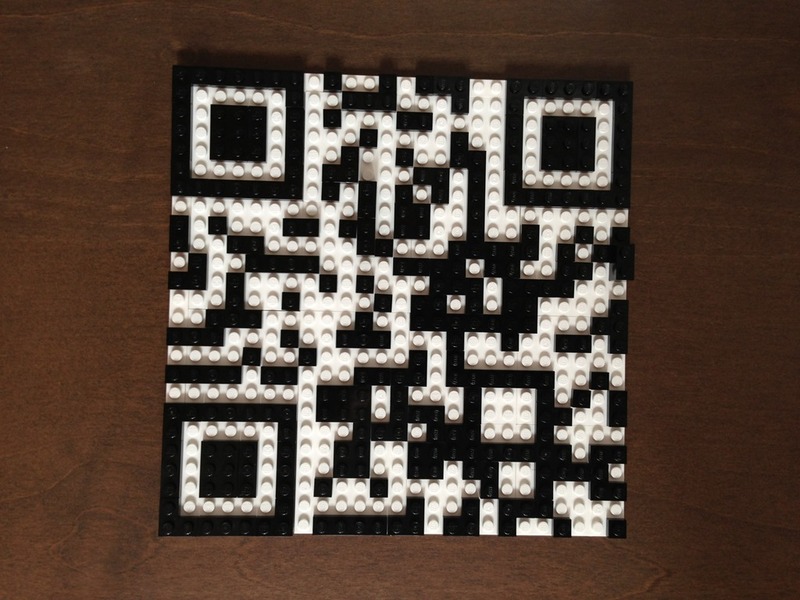 Putting everything together in the next pictures. 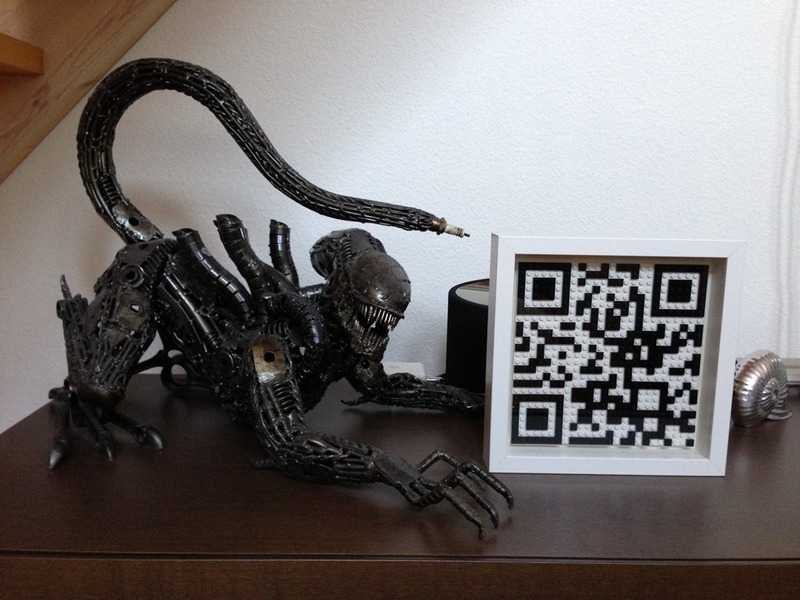 The last step was getting a fitting picture frame from Ikea. 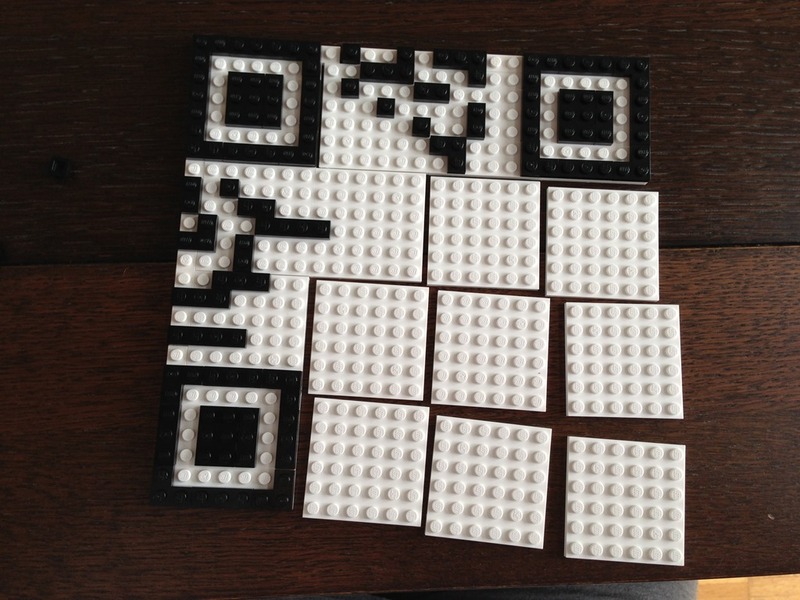 And yes, I am missing one “pixel” which I will add as soon as I get my hands on another black 1*1 plate… :) The QR code still works thanks to error correction.